Ring in 2013 twice during SugarHouse New Year’s Eve Fireworks on the Delaware River Waterfront. With fireworks shows along the Delaware River you’ll have plenty of time to find perfect spot to watch the spectacular displays. 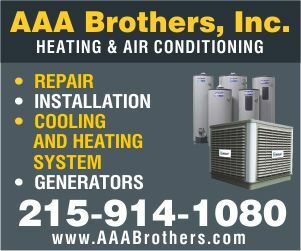 Philadelphia’s main attraction on New Year’s Eve draws thousands of people to the Delaware River Waterfront each year. 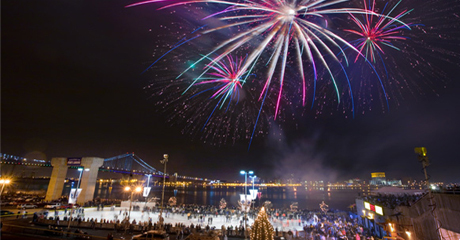 Conveniently located within a short walk of Old City, Society Hill and South Street, Penn’s Landing becomes a festive party with revelers of all ages delighting in a breathtaking fireworks display. The first show, at 6 p.m., is titled “The Fire Within” and set to a family-friendly musical soundtrack of “Fire Bird Suite,” “Call of the Champions,” “Four Seasons” and other festive songs. The second show, at midnight, is “Pop’n on the Delaware” — and for this one, you’ll need to break out the dancing shoes. Pop favorites like Mariah Carey, The Wanted, FUN, Rihanna, Nikki Minaj, Usher, Owl City and Carly Rae Jepsen provide the soundtrack to the pyrotechnics. If you’re not already in the neighborhood, catch a cab or hop on SEPTA’s Blue Line to Old City – from there it is approximately a five minute walk to Penn’s Landing. Arrive with time to pick out your spot to watch the fireworks display, but not too early as December is typically a chilly month in the city. The show, approximately 15 minutes in length, has a beautiful backdrop with the illuminated Benjamin Franklin Bridge and, if viewed from Camden, the Philadelphia Skyline. After the show, make your way back to Old City, where you can choose from countless places to continue the celebration.